Canon has now perfected the Blue Spectrum Refractive Optics technology. 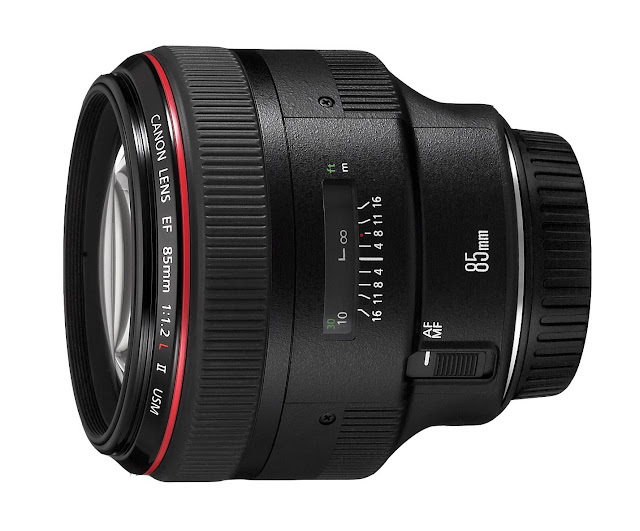 This new optical element will find its way into many of the upcoming lens and the EF 85mm f/1.2 (may be f/1.4) L III and EF 16-35mm f/2.8L III will be prime candidates. The new lens are expected to have superior weather sealing and weigh slightly less, due to the use of advanced material. In addition, the EF 70-300mm f/4.5-5.6 IS III lens is expected to be announced in the near future as well, together with some specialty lenses. Canon will have a busy schedule in the next 6 months or so. The EOS-1D X II and EOS-5D Mk IV are expected to be announced. The Canon EXPO 2015 on September 10 will be the type of venue Canon likes to showcase their upcoming new products and technology and perhaps more information will come out. Keep checking back for the latest news and development. Oh...a Canon EF 85mm f/1.2L II is on market since a few years...should be a Mark III, right? Thanks for the catch on my typo. My apology.